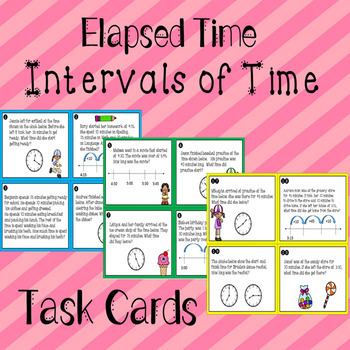 Your students will love these cute task cards for adding and subtracting intervals of time to solve problems. 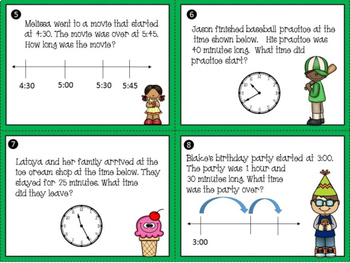 Use the task cards in centers, small group, or as a scoot game! 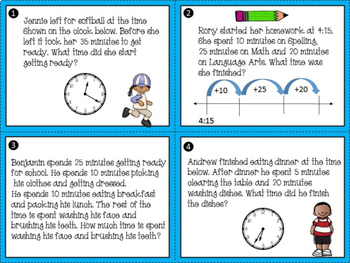 Students can work independently or with partners to solve the problems. 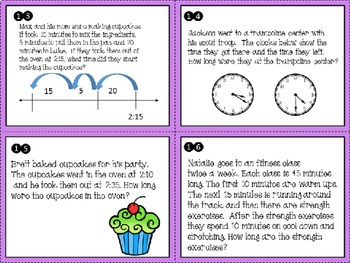 There are 20 Task Cards.